JMJWO 2017 - Meet the Musicians! The lineup of talented young jazz musicians to tour Europe this summer. The JM Jazz World Orchestra is a truly unique ensemble. Through global auditions it brings together the planet’s finest young professional jazz musicians to form the world’s premier international youth jazz orchestra. The JMJWO continues to thrive under the mentorship of the Costa Rican/US trombonist and composer Luis Bonilla, who returns for his third season as Artistic Director. From the 6th to the 14th of July, 2017, the band will tour European jazz festivals and venues, bringing together 18 exciting young jazz musicians. Representing 10 countries and 5 continents, the JMJWO will perform an international repertoire as diverse as its members. The JMJWO continues to thrive under the mentorship of Luis Bonilla (USA). 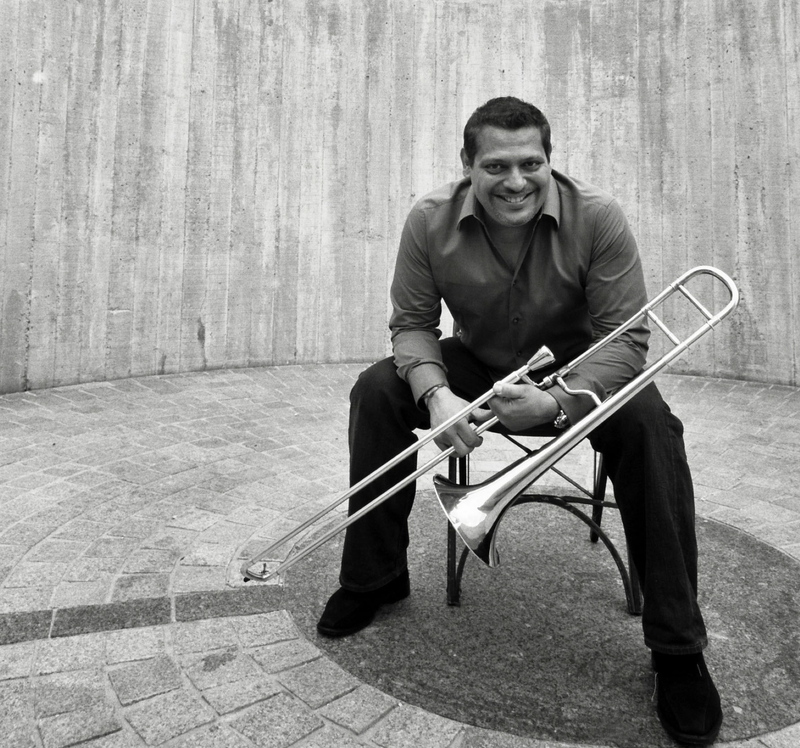 Bonilla, a California-raised Costa Rican trombonist, composer and arranger, has taken in and mastered an incredible array of musical styles. His success as a sideman with such greats as McCoy Tyner, Dizzy Gillespie, Lester Bowie, Tom Harrell, Freddie Hubbard, Astrud Gilberto, Willie Colon and Toshiko Akiyoshi attests not only to the skill and variety of Bonilla’s talent, but also to a mind restlessly committed to exploring some of the most complex and demanding music of our time. He is a member of the Vanguard Jazz Orchestra, the Afro-Latin Jazz Orchestra under Arturo O’Farrill’s direction (both 2009 Grammy winners) and the group Dave Douglas & Brass Ecstasy. Besides a busy performance/masterclass schedule year-round, Bonilla is a faculty member of the Manhattan School of Music and New England Conservatory. For more info about JM Jazz World and the Orchestra, go to www.jmjazzworld.com or find us on our Facebook page.